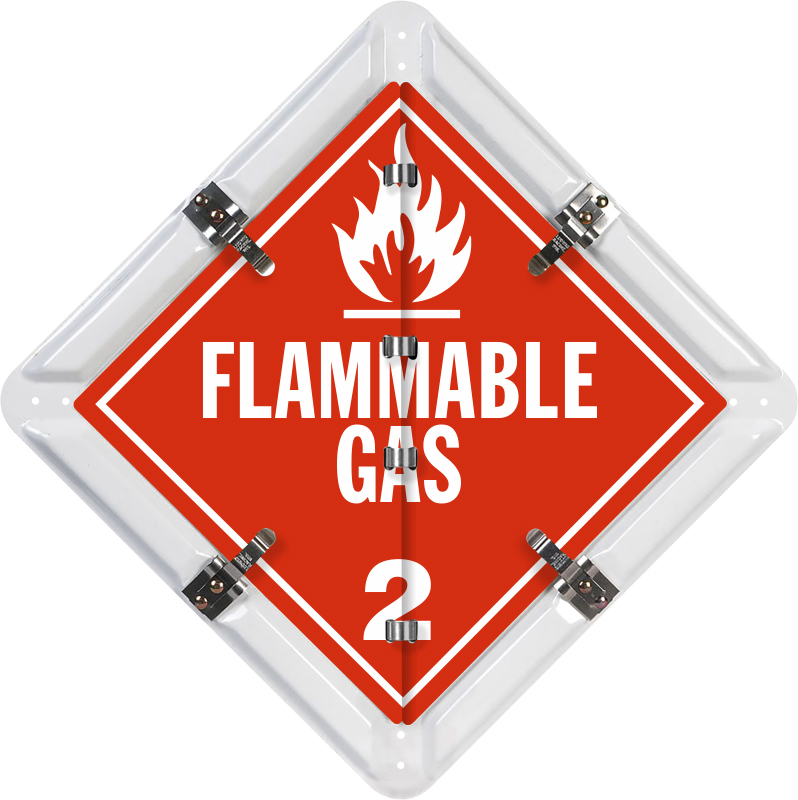 Contents Flammable Gas, Inhalation Hazard, Non-Flammable Gas, Oxygen, DOT placard flip panels. This is placard system favorite for welders, flammable and gas storage facilities, flammable areas for medical facilities and gas haulers. 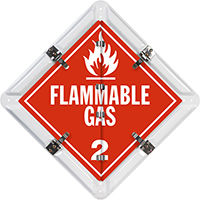 • Flip easily and smoothly between four common legends - Flammable Gas (Class 2), Inhalation Hazard (Class 2), Non-Flammable Gas (Class 2) and Oxygen (Class 2). Each legend features burr-free edges and professional rounded corners. • Stainless steel clip is the industry’s most durable. Your panels are locked into place. • Back plate is coated with a baked-on white polyester layer for longevity. • Placard panels are screen printed in vibrant colors and feature to-the-edge printing. Compared to others’ these placards appear brighter and feature a larger printed area.